Arizona Summit Law School and the American Bar Association’s Section of Legal Education and Admissions to the Bar settled their federal lawsuit Tuesday, with the order stipulating that the parties agree to cover their own costs and fees from the action. 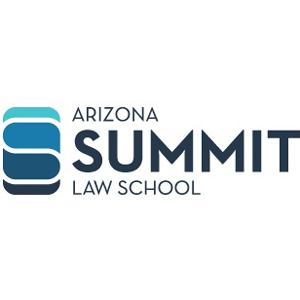 Arizona Summit is one of three for-profit law schools owned by InfiLaw Corp., which was also a party in the Arizona federal court action. All three InfiLaw schools sued the ABA in May 2018, regarding accreditation issues, after two of the three—Arizona Summit and the now-defunct Charlotte School of Law—were placed on probation by the section’s council. In November, the council approved a teach-out plan for Arizona Summit, which included a closure date for the end of spring 2020. Only one InfiLaw school, Florida Coastal School of Law, has not been placed on probation by the ABA. “InfiLaw Corporation and Arizona Summit Law School have dismissed their lawsuit against the American Bar Association and the council of the ABA Section of Legal Education and Admissions to the Bar with prejudice. The ABA and the council welcome the end of this dispute. We look forward to continuing to serve the best interests of law students, the public, and the profession through the ABA law school accreditation process, which has consistently been upheld by courts and has been approved by the U.S. Department of Education,” Barry Currier, the ABA’s managing director of accreditation and legal education, said in a statement. Neither Peter Goplerud, the law school’s interim president, or Penny L. Willrich, its dean, were available for comment at press time. The law school was placed on probation by the council in March 2017 for being out of compliance with various accreditation standards. In December, the law school filed an amended complaint against the ABA. The law school has no students, according to its Standard 509 Information Report for 2018, and 118 degrees were awarded that year. Twenty-five Arizona Summit graduates took the state bar exam for the first time in July 2018, and their pass rate was 52 percent, according to data released by the Arizona Supreme Court. A total of 98 graduates of the law school sat for the that exam, and the overall pass rate was 20.4 percent. Comparably, the law school in 2016 had a total of 587 students, according to its 509 report for that year. The median LSAT score was 143, and the median undergraduate GPA was 2.96. In July 2017, 129 Arizona Summit graduates sat for the state bar exam, and the school’s overall pass rate was 20.1 percent, according to data released by the Arizona Supreme Court.